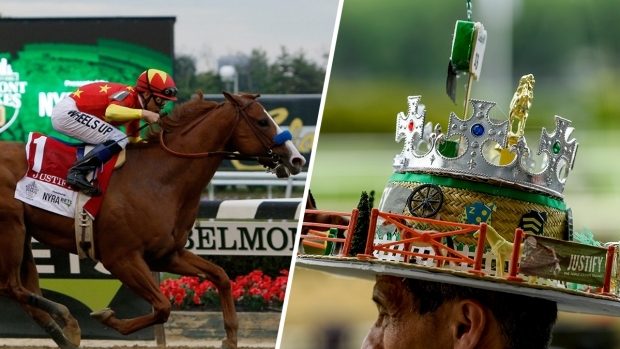 What Is the Triple Crown of Horse Racing? 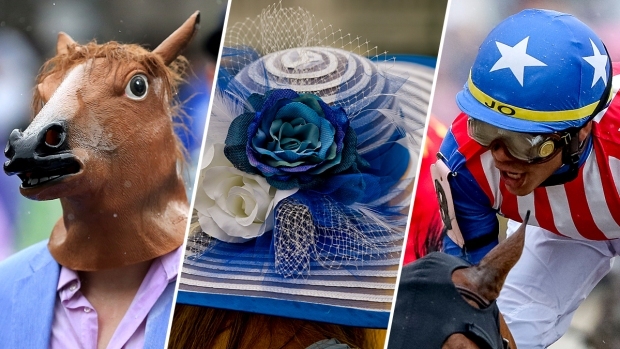 If you want to bust a racing curse, call Bob Baffert. The white-haired trainer smashed a jinx that stood for 136 years when Justify splashed through the slop to win the Kentucky Derby by 2½ lengths on Saturday. Not since Apollo in 1882 had a colt won the roses without racing as a 2-year-old. Now, Baffert is in position to make another run at the Triple Crown. Three years ago, he trained American Pharoah to the sport's first sweep of the Derby, Preakness and Belmont in 37 years and just the 12th ever. Records and streaks are made to be a broken and Baffert is certainly on a tear. The Derby record for most wins by a trainer is within Baffert's grasp, too. With his fifth victory, the 65-year-old snapped a tie for second and trails only Ben Jones with six. Justify is just as impressive. The imposing chestnut colt with the blaze running from his eyes to the tip of his nose improved to 4-0 — winning his races by a combined 21½ lengths. The favorite won for the sixth year in a row, the longest such run since the 1970s. 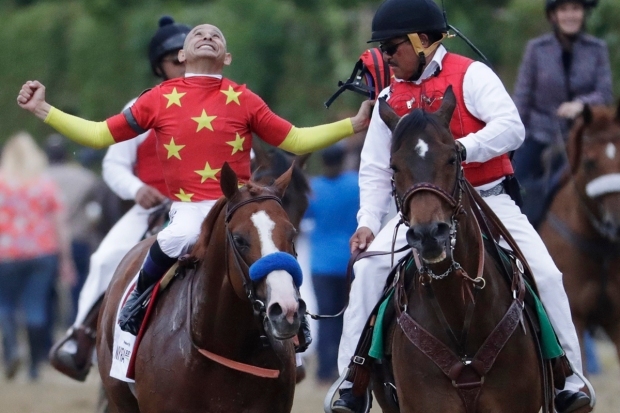 Mike Smith earned his second Derby victory, becoming at 52 the second-oldest winning jockey. Bill Shoemaker was 54 when he won with Ferdinand in 1986. Smith crossed the finish line at Churchill Downs with only a few specks of mud on his white and green silks in the rainiest Derby in the race's 144-year history. Nearly 3 inches fell on the crowd of 157,813 throughout the day. "Amazing horse," Smith said. "He's got that 'it' factor. He is so above average, he's got unbelievable talent and he's got a mind to go with it. He was loving this stuff." Smith's silks were nearly spotless after he kept 5-2 favorite Justify near the lead throughout the race. He gunned Justify out of the No. 7 spot in the starting gate — something Baffert said had to happen — and the colt's early speed helped hook leader Promises Fulfilled from the start. 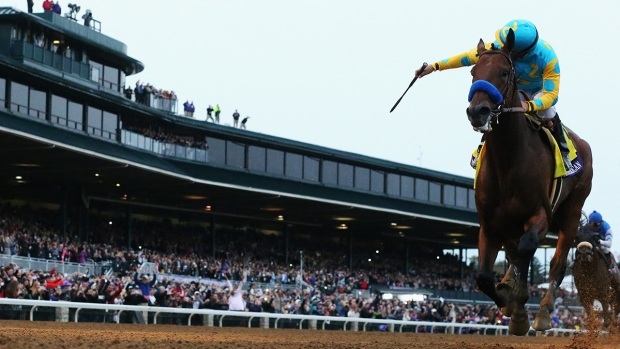 "When he got away clean, then I thought we had a chance," Baffert said. "We had to get away. Then Mike took his time." "It was an unbelievable performance by the winner, on this track, going that fast," Derby trainer Dale Romans said. "He never stopped. He may be a super horse." Entering the final turn, Justify took the lead and kept on going to the finish under Smith's left-handed whip. Justify ran 1¼ miles in 2:04.20. He paid $7.80, $6 and $4.40. "I was just in awe of the performance," Baffert said. "He just put himself up there with the greats." Good Magic returned $9.20 and $6.60, while Audible was another head back in third and paid $5.80 to show. Audible was the best of trainer Todd Pletcher's four entries. Good Magic — last year's 2-year-old champion and Breeders' Cup Juvenile winner — was the only horse to have a serious shot at Justify turning for home. Good Magic, under Jose Ortiz, drifted out while Justify and Smith kept a clear and straight inside path. "Justify looked like a big monster," said Chad Brown, who trains Good Magic. "We thought he was the horse to beat and it was true." Justify won his career debut on Feb. 18 at Santa Anita under 23-year-old Drayden Van Dyke. Baffert, sensing he had a special horse, knew he needed a rider who could handle the pressure of the Triple Crown trail and reached out to Smith. They teamed to win Justify's second race on March 11 in the mud, foretelling his ability to handle what he would face at Churchill Downs on the first Saturday in May. Justify announced his presence nationally last month in the Santa Anita Derby, with a front-running, three-length victory over Bolt d'Oro, who ended up 12th on Saturday. "He's the most beautiful horse," Baffert said. "He has that presence about him. Every day at Santa Anita everybody says, 'Who is that?'" They'll be talking about him leading up to the Preakness in Baltimore on May 19. "The winner was brilliant," Derby trainer Steve Asmussen said. "It'll be exciting to see Justify go on." The victory was worth $1,432,000 to owners WinStar Farm, China Horse Club, Starlight Racing and Head of Plains Partners. They bought Justify for $500,000. Instilled Regard, an 85-1 shot ridden by Van Dyke, was fourth, followed by 6-1 second choice My Boy Jack, Bravazo and Hofburg. Lone Sailor was eighth, then Vino Rosso, Baffert-trained Solomini, Firenze Fire, Bolt d'Oro, Flameaway, Enticed, Promises Fulfilled, Free Drop Billy, Noble Indy, Combatant and Magnum Moon. Mendelssohn, trying to become the first Europe-based horse to win the Derby, finished last. The $3 million purchase was beaten by 53¼ lengths for Irish trainer Aidan O'Brien. "He got beat up out of the gate and proceeded to check on the first turn and was never in a good place," jockey Ryan Moore said. "The race was over for him then."